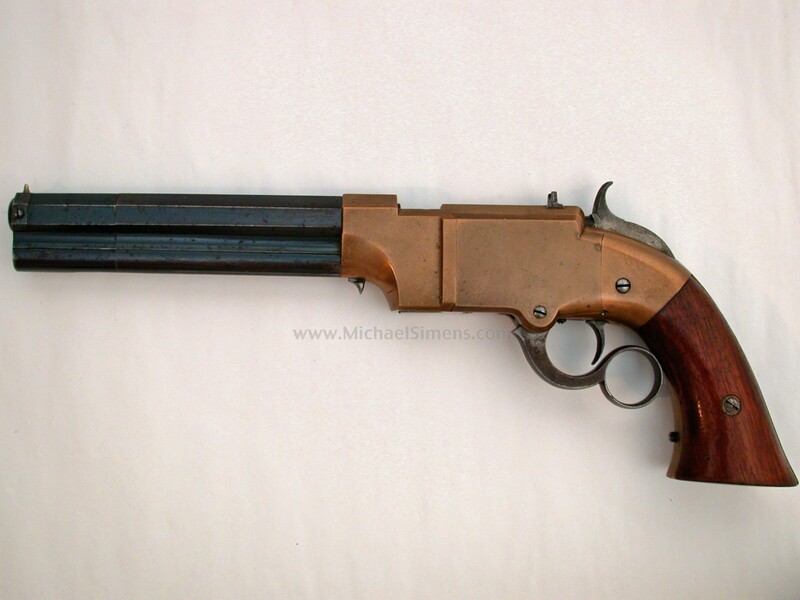 Here is another high condition large frame Volcanic pistol. We have probably sold more Volcanic pistols in the last 10 years than all other dealers combined. This excellent brass framed example with desirable six-inch barrel retains 95% original blue to its barrel blending with untouched brown patina the frame is a beautiful brass patina with minimal nicks and dings and the grips are almost meant with 97+ percent varnish. 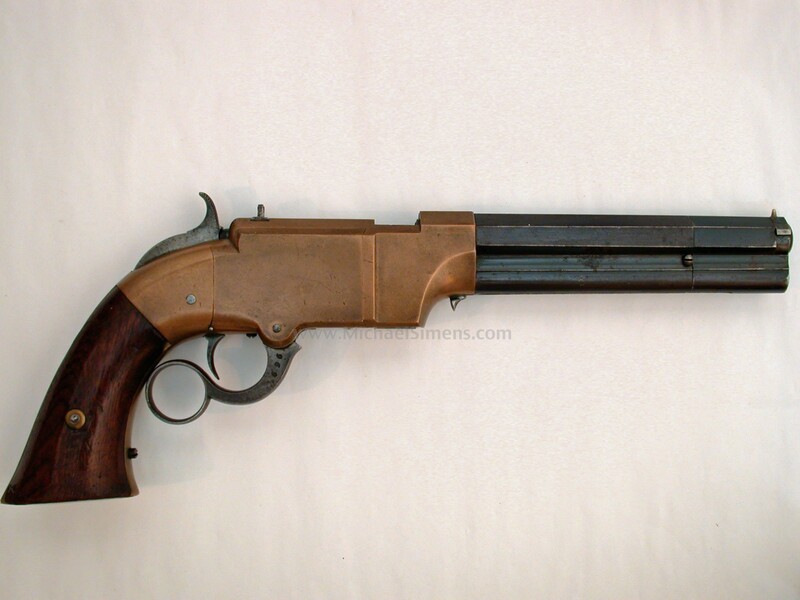 While continuing to make the Volcanic rifle and pistol, Henry began to experiment with the new rimfire ammunition, and modified the Volcanic lever action design to use it. The result was the Henry rifle. No Winchester collection is complete without one or more of the Volcanic Series of pistols or rifles within it.